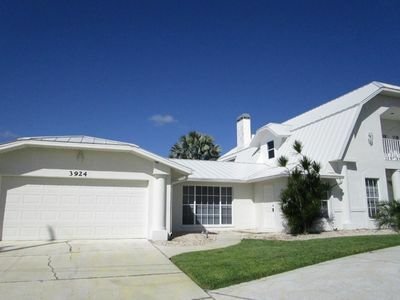 Gulf - Beach Front - Windsong your piece of Paradise!! 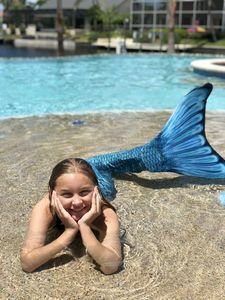 Listen to the gentle surf; take in the panoramic views of miles of sugar, white, sandy beach that wash into the turquoise blue of the Gulf of Mexico. 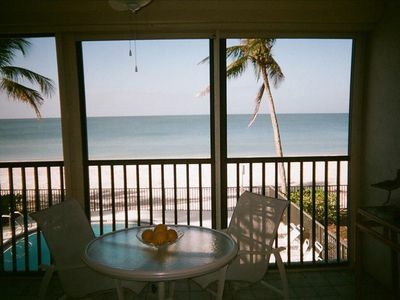 Watch the dolphins frolic with each other from your screened-in lanai or while walking the beach. Your private balcony stretches the width of the condominium, from the living room across the master bedroom and the view is priceless. Master bedroom has a KING SIZE BED. The second bedroom has 2 twin beds (that may be converted to a King). The Condo is fully equipped including a built in microwave, coffee maker, and all necessary utensils. 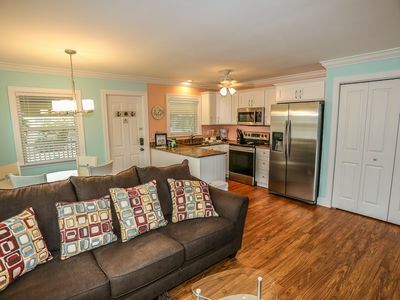 Your unit includes two TV’s. A flat screen with Blu-ray Disc Player in the living room and a second TV-DVD combo in the Master bedroom. 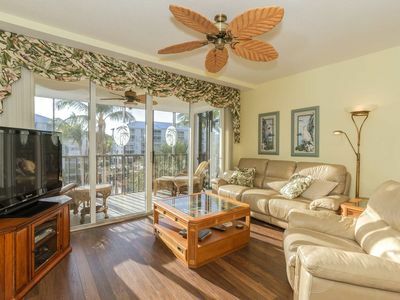 You can sit on your lanai and surf the internet with your free Wi-Fi. For your convenience there are beach chairs and a regular lawn chair, a beach umbrella, beach towels and a small travel cooler for water on day trips. 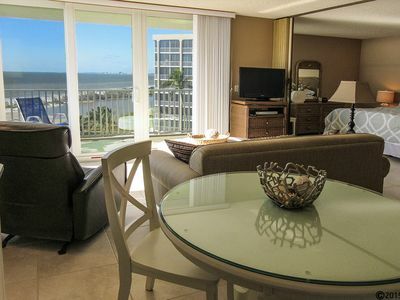 In the morning be entertained by the dolphins and shorebirds in view from your lanai! End your day by absorbing the infamous Bonita Beach sunset and fall asleep to the lull of the surf. 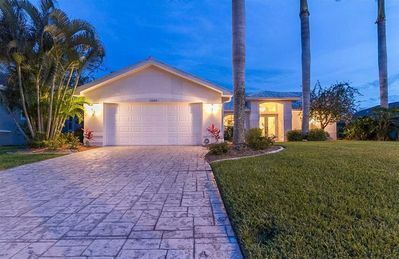 Close at hand, Naples with its restaurants, exceptional shopping and theatre, with Fort Myers Beach and Sanibel Island too. The Philharmonic Center for the Arts in Naples has more than 400 events each year. 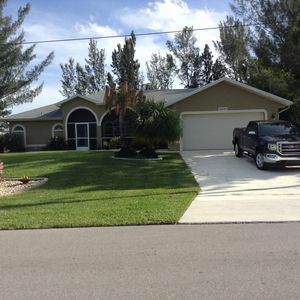 The golfer may choose from the many outstanding golf courses in the surrounding area. 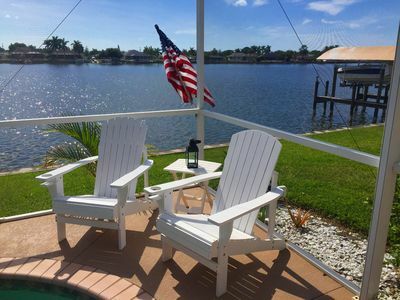 Boat rentals of all types and easy access to the wonders of the Western Everglades are also available. 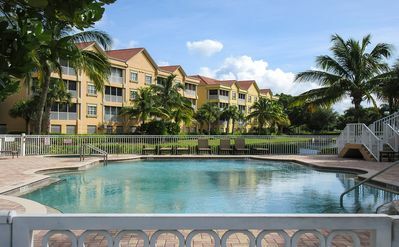 My condominium is located on Bonita Beach just twenty minutes from Fort Myers Airport. 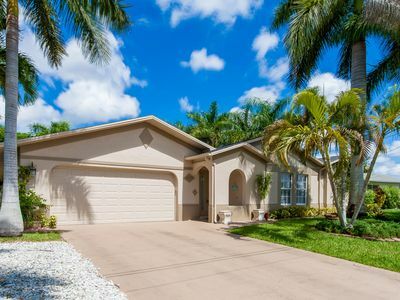 Ten minutes from Fort Myers Beach and just north of Naples. 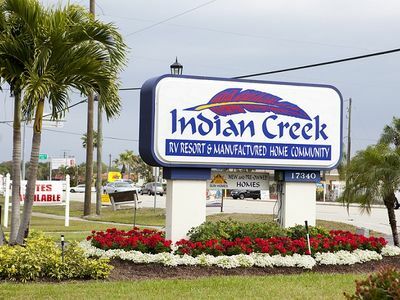 I’m located on the trolley line that goes to Ft. Myers Beach or to Bonita Springs for shopping or dining. 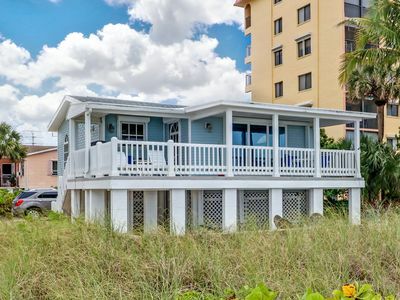 Whether golfing, swimming, fishing, or sunning is your desire; all are easily accessible to this beach front Windsong condominium. Restaurants galore everything from “Big Hickory” seafood grille at Big Hickory Marina (w/boat & kayak rentals), “Dock's Beach House” location is prime for food or wave runners, nestled along Little Hickory Key, or 'Pincher's Crab Shack,' 'Flipper's' at Lovers Key, 'Angelina's,' 'Chops,' “Bonefish Grill,' 'Capital Grille', to “Rodes' (best key-lime pie). 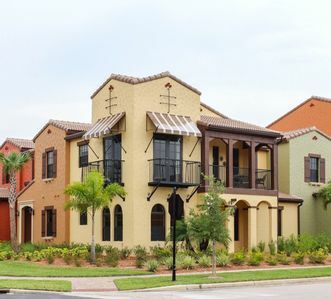 Also, shop premium outlets and upscale boutiques, you may enjoy daily greyhound & simulcast racing, Henry Ford & Thomas Edison’s winter homes, Everglades Airboat Tours and Lovers’ Key State Recreation Park & Beach, the Hollywood Theater Coconut, and Muvico Theaters all just minutes away. 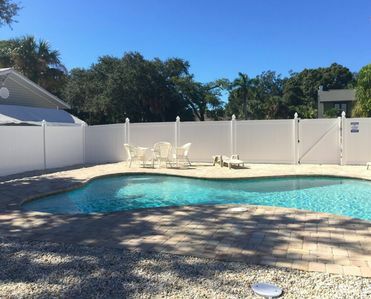 Fabulous Vacation Retreat on Desirable South End, Heated Pool, Free Wifi, Walk to Beach Access! 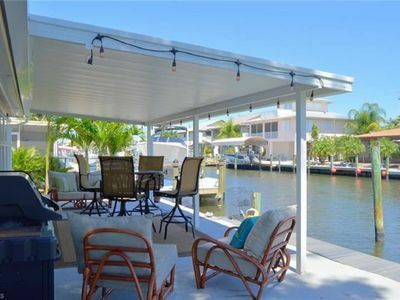 Stunning, 4th Floor Ocean Harbor Condo, Completely Remodeled in the Winter of 2017! 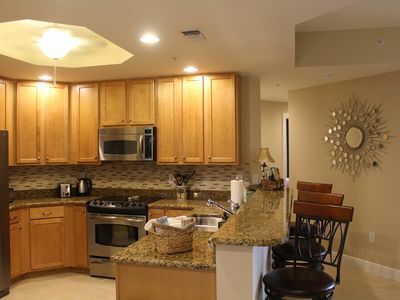 Gorgeous 3B/2B Luxury Island Resort Condo At Bella Lago! Palm Trees and Gulf Breezes! 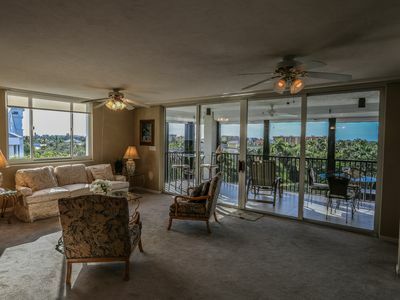 Beachfront Condo At Bargain Price! 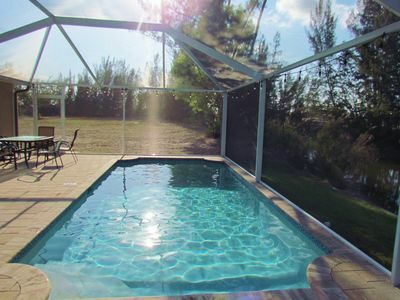 Resort Heated Pool! Tennis Courts! Million Dollar View!